“Take a look at this,” she said, picking up the sarsaparilla bottle bearing a print of a rhinoceros’ face. After sprouting out ideas, she conducts research to fill in the gaps to create a grand narrative. She draws inspiration from everyday objects, such as kretek (clove cigarette), the subject of her novel Gadis Kretek (Cigarette Girl), originally published in Indonesian in 2012. The English translation of the book by Annie Tucker was recently published by United Kingdom publishing house Monsoon Books Ltd. this year. “What an honor for a writer to have her work translated into another language. Translations for local literary writers have been quite tricky, though, since Indonesia doesn’t have literary agents,” said Ratih, whose novel was translated into German and is currently being translated into Egyptian Arabic. Ratih, born in 1980, has followed in the footsteps of fellow writer and husband Eka Kurniawan, whose books have been translated into English and published by international publications. They have a 6-year-old daughter, Kidung Kinanti Kurniawan. Gadis Kretek, inspired by family stories on the clove cigarette factory owned by her grandfather, takes its readers on a grand journey across three historical periods: the Dutch surrender to the Japanese in 1942, the 1965 communist purge and contemporary Indonesia; in a narrative bound by the clove cigarette. “I had the whole plot in my mind, although it was not set in stone,” she said. The devil was in the details. It took her four years to finish the novel because she visited several cigarette-producing towns in Central Java, such as Kudus, Magelang and Temanggung. During her time there, she mingled with tobacco farmers to get details on their life stories, day-to-day activities and habits to bring her ideas to life in a coherent narrative. Ratih, who like her husband writes scripts for television dramas, said the novel took a long time to finish because she divided her time between her main job at a television station and her personal writing projects. She has worked at Trans TV and, since 2016, at Limelight Pictures production house. “Literary books have a very niche market — you can’t feed off your royalties,” she said, explaining why literary writers tend to take up other jobs while writing. She said that although most people looked down on TV dramas and soap operas, writing scripts for them was an advantageous experience because it helped in refining storytelling skills, particularly in terms of building plot. “Even after producing so many pieces, your inspiration will never run dry, but your energy might run out,” she said. Ratih, who described herself as “restless,” said she was energized by her passion for reading and writing. She started writing intensively in 2001, while studying English and literature at Sebelas Maret University in Surakarta, Central Java, where she was exposed to the works of Robert Frost and Emily Dickinson. She said she was a fan of female writers who started their careers during the era, such as Ayu Utami, Djenar Maesa Ayu and Dewi Lestari. “As those of you who love reading might know, when you read too many works, you have to channel something out,” she said. 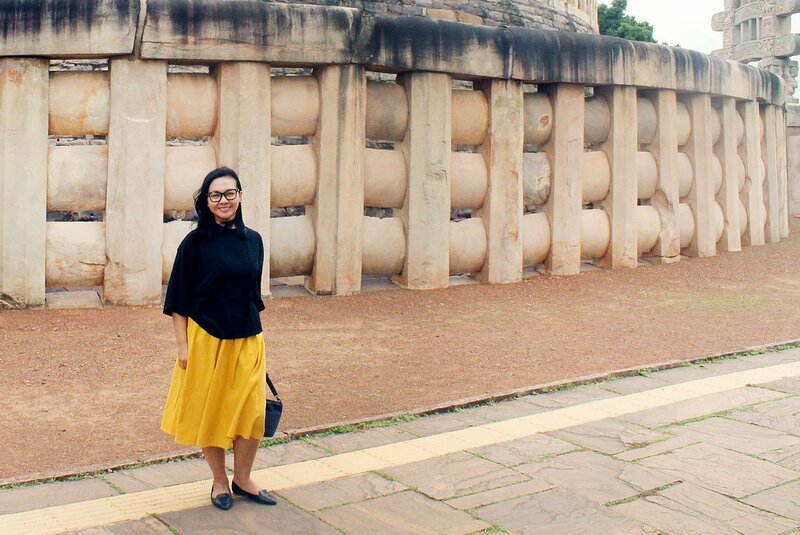 The desire to be noticed by her senior writers propelled her to send a manuscript called “Tabula Rasa” to the annual 2003 Jakarta Arts Council novel competition. She won the competition and, from there, she kick-started her literary career. She has published two short-story anthologies and four novels thus far. She and her husband come from the same literary generation, making their marks in the early 2000s, after being introduced for the first time by literary critic Maman S. Mahayana. Ya, Gadis Kretek diterjemahkan langsung dari Bahasa Indonesia ke Bahasa Jerman oleh Hiltrud Cordes.